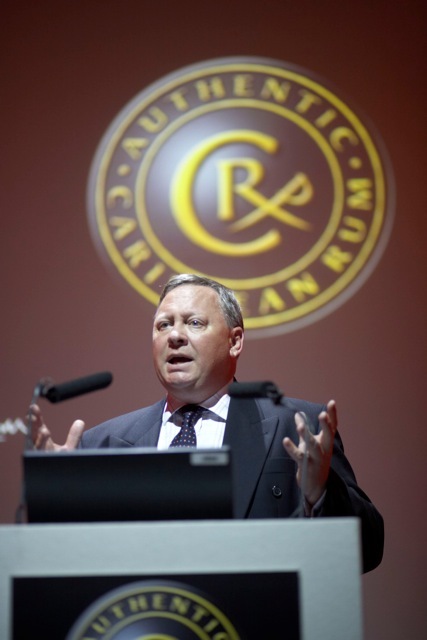 WIRSPA has announced that Mr Neil Morris has been named Global Ambassador for the Authentic Caribbean Rum (ACR) Marque. For this position, Morris will develop his new functions in the context of the training and education elements of the ACR Marque campaign that is being carried out in more than 12 countries across the globe and covers some 15 rum producing countries within the Caribbean. After successfully launching the ACR campaign in Europe, the United States and Canada, the naming of Neil Morris further strengthens WIRSPA’s commitment to the campaign. Broad knowledge of the industry has been gained from 30 plus years in alcoholic beverages including some 20 years of experience working with companies in the Caribbean. This provides an almost unique bridge across the numerous cultures of Europe, North America and the Caribbean region. His experience in the region dates back to 1982 working with Red Stripe in Jamaica and continues now as Global Ambassador for ACR Rum. Morris has visited more than 30 rum distilleries spread across more than 20 countries including non-ACR locations. He has also visited Whisky and other spirits distilleries plus many breweries as part of his general training within the alcoholic beverage sector. His strong awareness regarding the industry’s regulation and his experience in sensory training and evaluation make his profile ideal for these tasks. He is also a qualified Chef with broad experience in top quality bar and restaurant management. Frank Ward, Chairman of WIRSPA, noted that “by naming Neil Morris Global Ambassador we are strengthening the ACR campaign thanks to his in-depth knowledge of the rum category and his broad international experience that matches the requirements of our global campaign”. ‘To date, more than 4.000 bartenders have been trained in Europe and the goal is to train 1,000 more in North America in 2015’ says Morris. ‘The campaign is now making great strides in US and Canadian markets where we want to continue to bring quality rum education to spirits industry professionals. I attended one of the Manchester sessions a while ago and enjoyed a lot of the Rums on display during the session……I’m also still in the running for a possible place on the second stage of training that would involve a potential trip to the Caribbean…..my fingers are firmly crossed! Drinks by the Dram unveil the 2015 Whisky Advent Calendar as part of a range of 14 unique spirit-filled calendars. 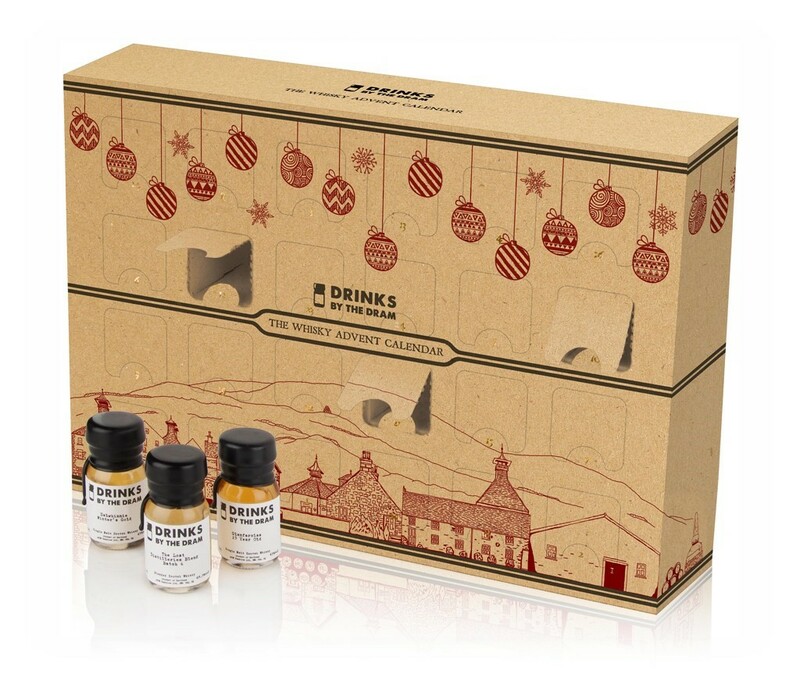 Drinks by the Dram’s range of spirit-filled Advent calendar returns for a fourth year. Old favourites like Whisky, Gin and Rum are joined by new additions including Tequila, Absinthe and Vodka. The Whisky Advent Calendar (RRP £149.95) was launched in 2012 to help whisky lovers explore the world’s best whiskies. Highlights among this year’s 24 drams include a rare 50-year-old Scotch, an award-winning Japanese whisky and the World’s Best Blended Whisky*. Each handmade, wax-sealed dram allows whisky fans to sample a new whisky, tasting everything from single grain whisky to rare Scotch worth up to £350 a bottle. Each calendar in the range takes the explorer on a different journey of discovery through the fascinating world of their favourite spirit, introducing them to rare and unusual expressions they may never have tried. Whisky connoisseurs can also enjoy the Premium Whisky Advent Calendar (RRP £249.95), which contains rare single casks and whiskies worth up to £500 a bottle. This year also sees the launch of The Old and Rare Whisky Advent Calendar (RRP £999.95), containing whiskies worth up to £2,000 a bottle, including a 60-year-old Single Malt – one of the oldest whiskies in the world. Click on the link on the side banner to take yourselves directly to Master of Malt to reserve your calendar! I’ve often looked on from afar at the images of other people’s Rum Advent Calendars……there are some cracking spirits to be had in all of them….well nearly all of them! Maybe this year will be my year…Fingers crossed. As RumFest fast approaches the rum tickled talent on display at the ILEC, London will host industry heavyweights with barrels of experience set to inform, entertain and captivate. The two-day rum extravaganza on Saturday 17th and Sunday 18th October features over 400 of the most diverse rums from across the globe including established favourites Diplomatico, Bacardi, Havana Club, Lamb’s Navy Rum, The Duppy Share, Don Q, Botron and newcomers Gold Of Mauritius, Matugga Rum and Nine Leaves as well as the return of the Golden Tot initiative allowing visitors to taste the rarest and most exquisite blends on the market. Leading master blenders, ambassadors, mixologists and industry aficionados will be on hand to take visitors on a voyage of rum discovery. Golden highlights include Diplomatico master blender Chris Tito, foodie hedonist Vanessa Bolosier of Creole Kitchen delivering vibrant food with a slice of spice, contemporary Caribbean cuisine from Shivi Ramoutar, rum and chocolate pairings, talks and tastings. Tickets are selling fast from £49.95, including a new VIP package priced at £75 that allows for exclusive early entry, a three course Caribbean lunch and goody bag. Tickets and more information are available now from the RumFest website. The countdown begins for the ninth edition of the world’s premier rum festival taking place at ILEC Conference Centre, Earl’s Court on Saturday 17th and Sunday 18th October 2015. Thousands of rum lovers will be treated to blends from all corners of the globe. Whether a Ron Tiburon from Belize, a Le Dom Tom from France or a Nine Leaves blend from Japan, there are over 400 rare and exquisite rums to sip, savour and buy across the two days. Following the success of last year, the Golden Tot tokens return where visitors can pick up a token for just £5 opening the doors to rum’s elite allowing the more serious rum enthusiast to try rums that usually retail for over £200 a bottle. Away from the tasting shacks and immersive pop-ups will be a series of enriching and tantalising seminars, masterclasses and workshops including the not-to-be missed Cachaca Tasting mapping out its rich history in Brazil and flavours; an introductory level aroma masterclasses; chocolate and rum pairing; a fascinating look at the history of rum; and a series of one-to-one tastings. Top blenders, mixologists and distillers will also be on hand to teach ticket holders the art of cocktail making as well as more ways to enjoy their favourite rums. Whilst one of the most influential and awarded personalities in the rum world, the legendary Tito Cordero, Diplomatico’s Master Blender, will take visitors on a journey through the foothills of the Andes. 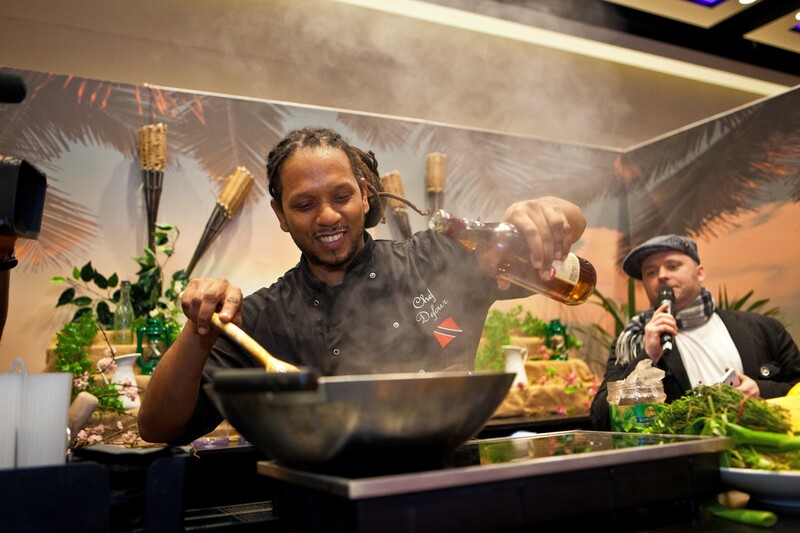 The RumFest’s famous food offering will deliver mouth-watering cuisine from exotic rum making locations and temperatures are set to rise with live stage demos showcasing rum pairings, cooking demos, live cocktail competitions and more. Vanessa Bolosier creator Creole Kitchen is model turned award-winning chef and will be bringing years of inherited stories and recipes to RumFest’s Main Stage. Expect big flavours and plenty of spice from a lady with innate Caribbean cuisine knowledge. Contemporary Caribbean cook Shivi Ramoutar will take over Sunday’s Main Stage presenting her culinary mission to twist these classic Caribbean dishes and ingredients from her childhood into her own vibrant, fresh and easy-to-make delights. Other highlights for 2015 include the return of RumFest’s Auction in partnership with Christie’s auction house. A must see for this year, RumFest is hoping to smash last year’s grand total where over 20 precious and rare rum were sold off for charity. Carnival Hour rounds off the RumFest experience each day in the ultimate party finale, featuring live bands and dancers that embrace the fun and social spirit of rum. This year for the first time in history The Rum Experience is teaming up with leading bars, chefs, distillers, brands and rum lovers to curate a week-long series of events that will take over the capital for the inaugural The Rum Experience Week. Each event will be hosted by a different brand or partner and will show attendees new ways to experience rum, including rum pairings with cigars and chocolate, rum infused cooking classes and exclusive menus, a Thames Tiki rum cruise and interactive tastings. The fitting finale to the week long-long events is of course The RumFest. Tickets to select events are available now and more events will be announced soon with full information on the website – rumexperienceweek.com or from rumfest.co.uk. 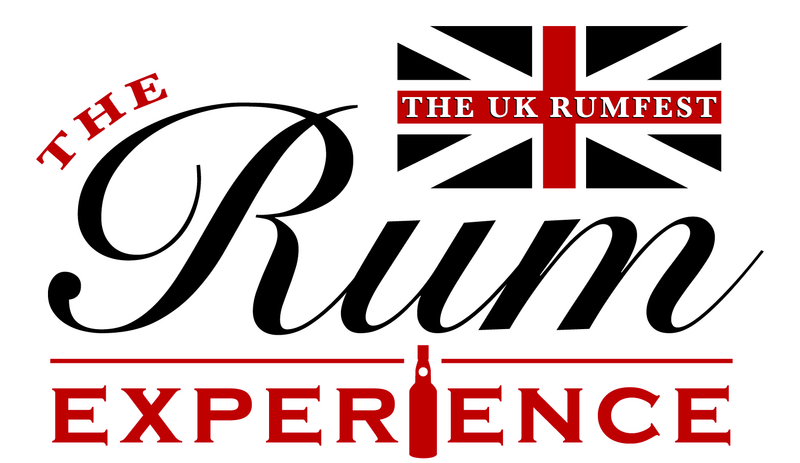 The RumFest takes place in London at the ILEC, 17th to 18th October 2015. Standard day tickets are now on sale at £49.95, which includes access to all areas of the event and tastings from all exhibitors. VIP tickets are on sale from £75 and allow for early access of one hour ahead of standard ticket buyers along with a two course Caribbean lunch and RumFest goodie bag. Golden Tot Tokens are £5 each and allow for additional access to the more premium rums on offer. One token can be exchanged for rum retailing £80 – £100 and more expensive rums will be available for additional tokens. Tickets to the new private rum tastings will be announced soon. For full information on RumFest and to buy tickets head to rumfest.co.uk. This really is lining up to be an absolute monster of an event with some amazing new brands to look out for along with some mainstays of the category. In particular for us, we are really looking forward to experiencing Nine Leaves Rum from Japan, Gold of Mauritius (and hopefully with their Mauritius Club Rum) and the new kid on the block Matugga Rum. We also hope for another amazing line up of seminars with particular emphasis on hearing what Richard Seale of Foursquare Distillery has to say. High on the priority list too is a meet up with our Rum friends from both the UK and abroad….such a great gathering of fanatics (the peaceful kind) in one place to celebrate Rum can only be a good thing. Pick up your tickets now and we’ll see you there!